Provides outputs for a 2 speed indoor blower motor and a single speed inducer motor. 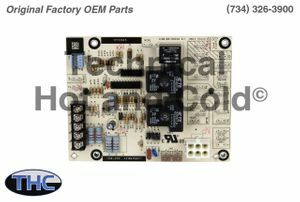 Technical Hot and Cold offers the ICP 1170063 Fan Blower Control Board OEM replacement part for sale online and over the phone. Call (734)326-3900 to speak with a technician for additional information on each ICP replacement part.